THE BLOG // Enjoy our blog for our inspirations, crafts, and recipes, as well as any other lifestyle tidbits that might be of interest. We are using this space to compile ideas and cultivate creativity in our daily lives as well as yours! MEGAN // I’m a coffee & beer enthusiast and a general foodie. I work as a wholesale rep for a coffee roaster, which allows me to keep up on my coffee game and inspires some fun recipes. I currently live and work and cook and create in Chicago, the jewel of the Midwest. I’m currently loving: hand drawn fonts, 90’s feminist punk, cafe culture, imaginative reuse, and poppies. 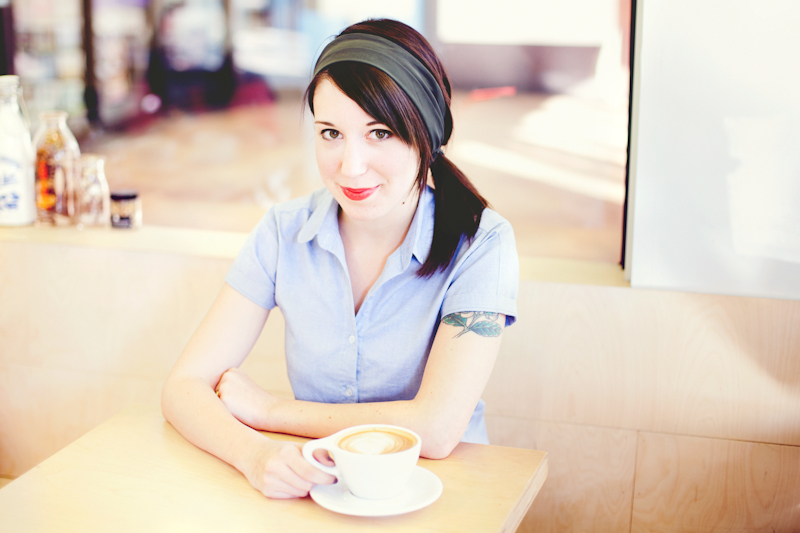 LAURA JUDE // I am a photographer, vintage collector, and fashion enthusiast. I currently reside in south-east michigan, where I’m a photographer and etsy shop owner. I love lens flair, long baths, old smells, nerd games, science fiction, the 1960s, instant film and ice cream.